San Francisco, CA, September 5, 2012—Open a typical chemistry textbook and you'll find a slew of lifeless, geometric representations of various elements and compounds. Sure, these diagrams may describe the properties of each element, but they completely miss the personalities, the physiques, and, most importantly, the haircuts of nature's building blocks. Wonderful Life with the Elements (No Starch Press, September 2012, 208 pp., $17.95, ISBN 9781593274238) grants readers a glimpse of elemental properties as seen through the brilliant and whimsical mind of famed Japanese artist Bunpei Yorifuji. 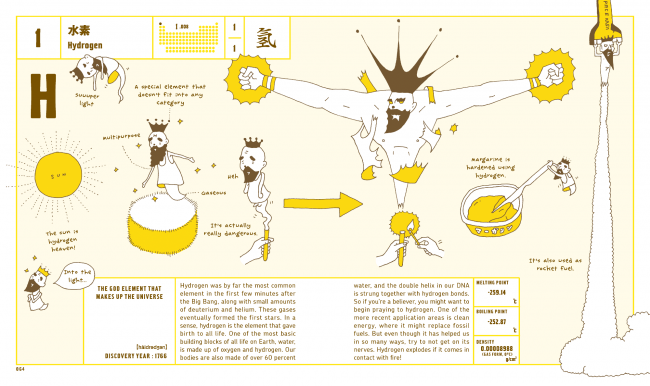 In this book, each element is represented by an illustrated profile that reflects its unique properties in an intuitive, playful, and visually compelling way. Heavy elements are fat, minerals are dressed in skimpy tighty-whiteys ("to show off their healthy physiques"), and the easy going noble gases sport luscious afros. Every detail is relevant, from the length of an element's beard to the clothes on its back. 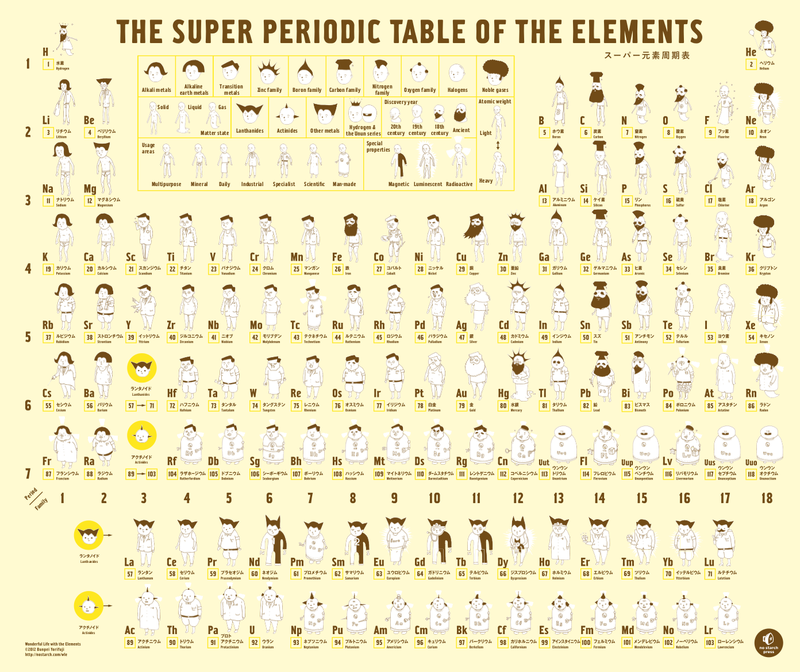 Even the most playful aspects of Yorifuji's illustrations are grounded in the element's real properties and provide meaningful connections that help readers learn and understand the periodic table. "When you're introduced to chemistry in the right way, you learn how fun and interesting it can be. But make things hard and boring and you can spend countless hours banging your head against your textbook," said No Starch Press founder Bill Pollock. "Wonderful Life with the Elements promises to give chemistry that extra spark and inspire readers to learn more. For more information or to request a review copy of Wonderful Life with the Elements, contact Jessica Miller at No Starch Press ([email protected], +1.415.863.9900, x110) or visit www.nostarch.com. Japanese artist Bunpei Yorifuji is well-known for his series of humorous ads for the Tokyo metro, "Do It At Home," which show riders doing inappropriate activities on the subway. He is the author of several books in Japanese, including Milk Century and The Catalogue of Death.